It's been almost a year from our 0.6.0 release and has been an awesome time for the Opal community. Today I'm proud to announce we have released v0.7.0, which comes packed with lots of good stuff and uncountable bug fixes. The require system has been completely overhauled in Opal 0.7. The previous version was a rather smart wrapper around sprockets directives but had some limitations, especially when it came to interleaving require calls and code. Some gems couldn't be compiled with Opal just for that reason. The new require system now relies on a module repository where each "module" actually corresponds to a Ruby file compiled with Opal. This means that #require calls aren't no-ops anymore. In addition to that #require_relative support has been added and for feature parity with sprockets directives we're also introducing #require_tree. The latter will be particularly useful to require templates. This has been a super requested feature, and thanks to Adam Beynon they're now a reality. They still have some rough edges (as they did in their first CRuby/MRI incarnation) but the core is there for you all to enjoy. That's true, but as a project grows docs become more and more useful. Luckily most of our codebase mirrors CRuby/MRI thus making superfluous (and unpractical) to re-document every single method, but that is enough just 80% of the time. In fact I found myself asking many times if a specific method was already implemented and whether it had any deviation in semantics or any known bug. You can now find docs for both corelib and stdlib on the Opal website. We've added almost 600 new specs (+15%) from RubySpec to our suite, which is great, but the recent "drama" around the project lead me to give another look at tests embedded into our beloved CRuby. A slightly adapted* version of the latest Minitest is now part of the stdlib, and a super simplified test/unit adapter has been re-implemented. Opal test suite now runs the amazing number of 1 (!) test from the original CRuby suite. As you may have imagined at this point, more will come. That's how opal-jquery is implemented. Unfortunately those classes until now were lacking #method_missing support. Node.js is a fantastic platform to have fun of and in the past I had my personal share. But the fact is that stuff like NodeWebkit (now NW.js) or AtomShell are really good if you want to build a desktop app reusing all of you web development super powers. Turns out it's also handy to run Opal specs. 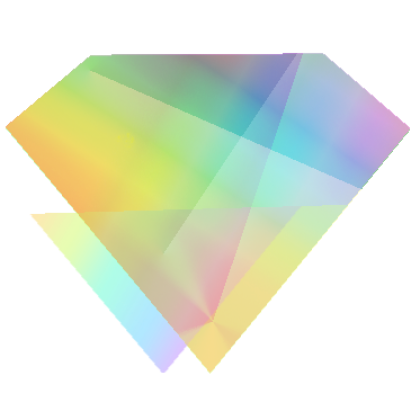 -g, --gem GEM_NAME               Adds the specified GEM_NAME to Opal's load path. -D, --dynamic-require LEVEL      Set level of dynamic require severity. I can say that working on Opal internals is much better now. Things are still improving towards an even more precise matching of Ruby semantics. Let me take a moment to thank again and publicly Adam Beynon for creating Opal, meh for being so wonderfully stubborn in respecting Ruby semantics and for his gigantic gargantuan work on the stdlib and–finally–all the other contributors, the users and the library builders. <3 Hooray for garbage collectors!